Many within the field of human performance have enjoyed touting the importance of what is often referred to as a “systems based approach” for quite some time. The proposed utility behind the systems based approach is the level of consistency and therefore, the high-level of cleanliness in which solutions can be applied. This approach allows for many different training methods to fit within a principle based paradigm which can help guide both the well-practiced coach, as well as more “raw” practitioners alike. But there an inherent problem with relying on systems as a performance coach. Despite its ability to provide perceivably seamless technical/tactical based solutions for training, it does not provide a solid platform for doing so with people. The issue becomes that providing practitioners with a framework that allows coaches to better understand and implement the “X’s and O’s” of physical development means little in regards to our ability over the long-term to successfully manage behavior, which is a key element of what truly successful coaching is predicated on. In other words, in the information laden society that we currently live in, we aren’t facing a knowledge issue but rather one of competence or true consciousness. It is not uncommon to see coaches blindly following programs and philosophies from internet “experts” that they themselves have never even tried, or going down the rabbit hole of thinking that the more research that they can gobble up the better thus creating coaches that are socially skewed as opposed to socially skilled. 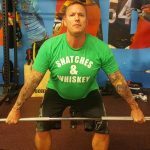 This often leads them down a route of coaching their athletes as if they are faceless or nameless “test subjects” who are part of a never-ending research project of comprised of fitting round pegs into square holes just so that they can confirm their desired intervention has been successful. It is suffering because these same coaches begin chasing “mastery” via their belief that their ability to attain the designation is dependent either on the tools and toys that they have at their disposal or the level of novelty in which they use them, rather than their ability to be resourceful and do the simple things savagely well over the long-term. Now, let me be clear in saying that I am not taking issue with advances in technology or research, I am taking issue with the level of overall pragmatism in which they are ultimately presented and implemented, and perhaps even with the notion that true mastery within our field can even exist at all. Most skilled coaches, if they have truly been through as many battles as they claim, will admit to still making errors and mistakes in judgment, even in critical moments. Sure they may make fewer of them compared to their less skilled counterparts due to their high relative level of experience and high-level of intuition, but they will still make them, and reliance on a systems based approach or information hoarding that doesn’t adapt well to the individual or the circumstance will not change that. What does help them rebound or and adapt with enhanced efficiency is their overall level of consciousness, an enhanced practical awareness which helps them to adapt and “recalcalculate” similar to a well-made GPS device. Now, the clever reader may be quick to point out that a GPS device is an example of a “system”. Touché, Literal Larry, touché. But keep in mind that GPS devices only work accurately if the area that they are in has adequate reception, just as the most knowledgeable coach in the world will see that the results of his/her program is ultimately dependent on the level of trust or “buy-in” that they have developed with the athletes who are performing it. That is what a “Conscious Coach” is able to do. For many of the reasons listed in the above paragraph, this quote hits the nail on the head regarding the coaching profession as a whole, as well as any educational, or leadership based profession in general for that matter. A “Conscious Coach” is someone who sees the big picture and is able to balance both the technical/tactical aspects of coaching and management of performance science, with the transformational aspects required of elite communicators, mentors and educators. What does Conscious Coaching look like and how is it different than being a transformational coach or relational coach which are terms that we have heard before? More simply put, Conscious Coaching is about matching an athletes purpose with a process by helping them see things differently as it pertains to their training and development. 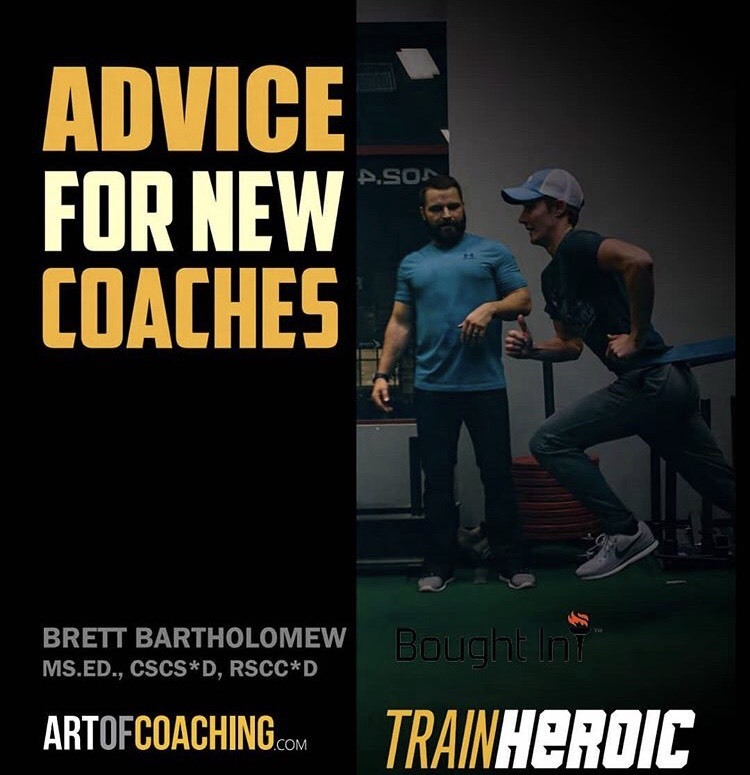 It’s focused upon connecting what really drives our clients and athletes from the inside out so that when we coach them, both we and they have a better understanding of what we are trying to accomplish together, the level of effort and dedication necessary in order to get there, as well as how to surmount and adapt to obstacles that we will inevitably encounter together along the way. When you watch Conscious Coaches work and pay close attention, you’ll notice that everything they do is strategic yet fluid; from the way in which they alter their vocal tone, explain the purpose of a drill or exercise, demonstrate a movement or use their body language in order to communicate and educate. Conscious Coaches are able to upskill their athletes universally; both from a training physical standpoint and a psychological standpoint. They teach them how to teach themselves through enhancing their awareness of methods and outcomes while also strategically mix in relational elements such as questions, small talk, witticisms and other forms of dynamic education or humor that help tremendously in regards to building rapport. These coaches are few and far between and there is a reason for that, as they are not myopic in how they go about studying both people and the finer aspects of elite performance. 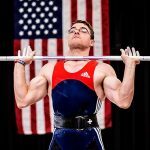 It is my opinion, that the obtainment of this unique skill-set is what helps us to get our athletes to truly transform what would otherwise be a lifeless program on a sheet of paper, into a true catalyst for physical transformation as they begin to more clearly understand the outcomes that staying true to the process delivers. Because people want to know what they are a part of. They want to understand how something affects them or something that they care deeply about. When is the last time you bought a car without taking it for a test drive? Or cooked and fed something to your family without tasting it or testing the temperature first? In order for the teaching process to be maximized over the longterm (because coaching, is in fact, teaching) the coach and athlete relationship needs trust like humans need oxygen. Ah yes, here we arrive at the notion of the social sciences which is what many like to refer to as a “soft-skill” or say cannot truly be objectively measured. The problem within the use of that passive designation or ideology is that when it comes to dealing with human beings, it is often the high-level expression of these “softskills” which lead us to getting the “hard-results” that we are looking for in the long run, remember we coach people, not spreadsheets. As a coach, when you blend trust, technical competence, and an elite skill of communicating to others in an adaptable manner you are able create the element necessary for the genesis of the kind of culture and augmented behavior required in order to create world-class results in any industry. Consider it an alchemy for excellence if you will, and it is one that current and future strength & conditioning coaches will ultimately need to acquire if they want to be successful at a level that is the most impactful to lives both within and beyond sport. Armed with this ability to combine the requisite knowledge of the sciences with mastery of the art of interaction and you will become a dynamic, adaptable, coach that can get athletes results in any setting. This “chameleon-esque” approach and merging of the sciences allow you to reflect the values of the individuals that you teach with no-nonsense training principles. 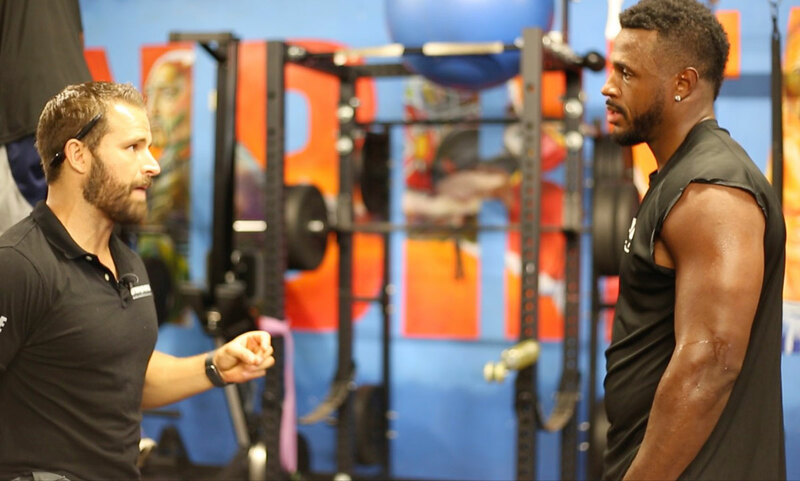 Through this, our programs and the principles that underpin them are ultimately brought to life and maximized by athletes who are now more motivated by their understanding of the path as well as a coach that they feel understands them as individuals. Conversely, a rigid adherence to systems does not foster this type of skill development and adherence as systems rarely factor in the human element. If you think systems are full-proof, consider airlines for a moment. From the screening and boarding procedures to their check-in process, few things about the process of air travel regardless of the airline that you fly, can be described as “smooth”. Inevitably something in the system goes array, someone boards when they weren’t supposed to, there are “mechanical issues”, flight delay and Lord knows that we have all found ourselves stuck behind Mr. or Ms. “I didn’t know that I had liquids in there” in the security line. Herb Kelleher, one of the Co-Founders of Southwest airlines once quipped, “planes only make money in the air.” when referring to the proposed time saving benefit of their company’s unique boarding procedure which was done to enhance turn-around time. The problem is the hope of that idea working is completely dependent upon people understanding what they are doing in the first place as well as caring as opposed to only going through the motions. Systems often fail because people are complicated. We often display poor judgment and irrational behavior regardless of the information that we have access to or the “truths” that are presented to us and as history has shown us, despite our periodic brushes with clarity, we are still largely emotion based creatures, and if strong enough, those very emotions will trump logic nearly every time regardless of the patterns that we try to prime them to follow. This is why a more Conscious Coaches are needed. They not just a logistical guide, but a behavioral one as well. Want to set yourself apart from others within the industry for the right reasons? Then don’t forget that in the eyes of the athlete, the successful demonstration of competence at BOTH ends of the spectrum is needed. It is not about balancing the art AND the science of coaching as most suggest, but rather, realizing that there is also a science to the art.